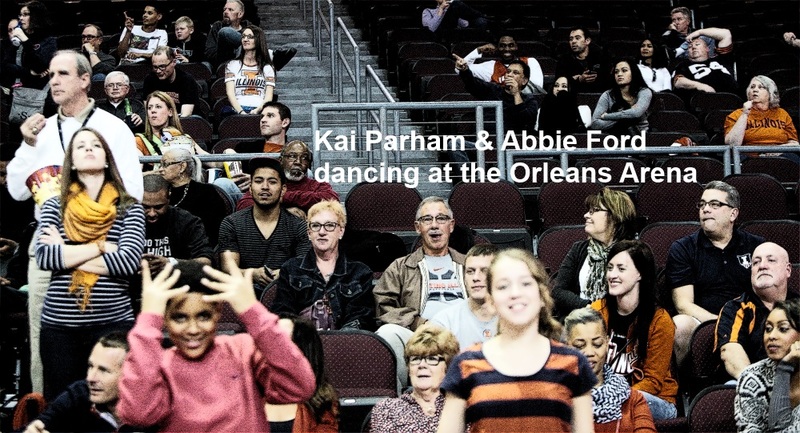 At about 1 a.m. Central Standard time, Paris Parham and Jamall Walker stood in the huge passageway connecting the Orleans Arena to its administrative areas, locker rooms, and public toilets. Jamall called to one of the organizers of the Las Vegas Invitational, inquiring about DVD copies of the Baylor-Memphis game the two had just watched, along with Ryan Pedon. The three assistants had different duties. Walker was responsible for scouting Memphis. Parham was responsible for Baylor. Pedon is responsible for advanced scouting, no matter the opponent. Memphis led 32-29 at halftime. But by the 16:00 media timeout of the 2nd period, the Tigers were clearly out of gas. It was about midnight, body time. That was true for Baylor, too. And in fact, both teams got really sloppy at about that point. But Taurean Prince and Royce O’Neale found a second wind, and propelled Baylor to a 71-47 win. That’s the same margin of victory Illinois enjoyed over Indiana State. The staff of the Las Vegas Invitational, Indiana State SID Achim “Ace” Hunt plus a couple of volunteers, had been up since … well, probably even earlier than the Illini assistants. They delivered a stack of game books (box score + play-by-play) to Pedon. Maybe they tracked down the DVDs, too. If not, it’s a trifling matter. Both Parham and Walker had video of all the other Memphis and Baylor games, already stored & broken down, on their laptops. In fact, as the live game played out on the Orleans Arena court, the three of them compared live plays to stored video from previous games. The players wouldn’t see anything until the morning. Presumably, they were already in bed. Parham’s wife Keisha and younger son Kai were (hopefully) also asleep, back at the Renaissance Hotel. Also making the trip were the Allison Groce and her boys, Erin Basgier, and Marcie Ford plus Max and Abbie. Neither Allison nor Marcie was thrilled with the activities Vegas provides for younger people. The only two “younger” people in a good position to enjoy Vegas nightlife were Sam McLaurin, and his girlfriend Noelle Paquette. Sam is currently located in San Marcos, Texas. He’s working in the construction industry, and it keeps him on the move. 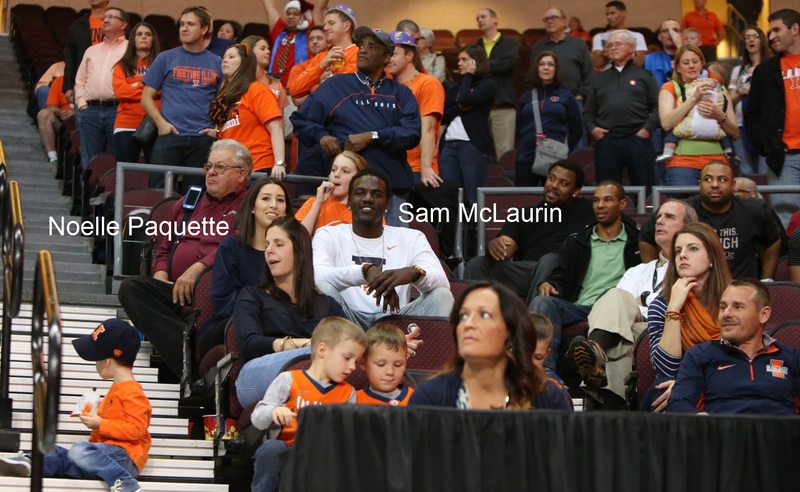 But he still makes it to an Illini game now and then. I thought it was pretty fun that Noelle’s last name is “Paquette.” It would have worked so well in the Introducing Sam McLaurin video. More booze tonight, and headaches tomorrow, for Illini fans. New Year’s resolutions are still a month away.